Giants have always fascinated and perplexed people. Going all the way back to David and Goliath, stories of super tall men have lived in fables, myths, and legends. Today, however, we know, based upon the NBA alone, tall people exist and come from all walks of life. For some reason, men get the spotlight more than women. Let’s redirect some of the attention. Here are the 25 Tallest Women Who Ever Lived. While she’s not the tallest woman in the world as she claims to be, Heather Greene still measures at 6 feet, 5 inches (1.9 meters). And yes, that’s after she loses the high heels. 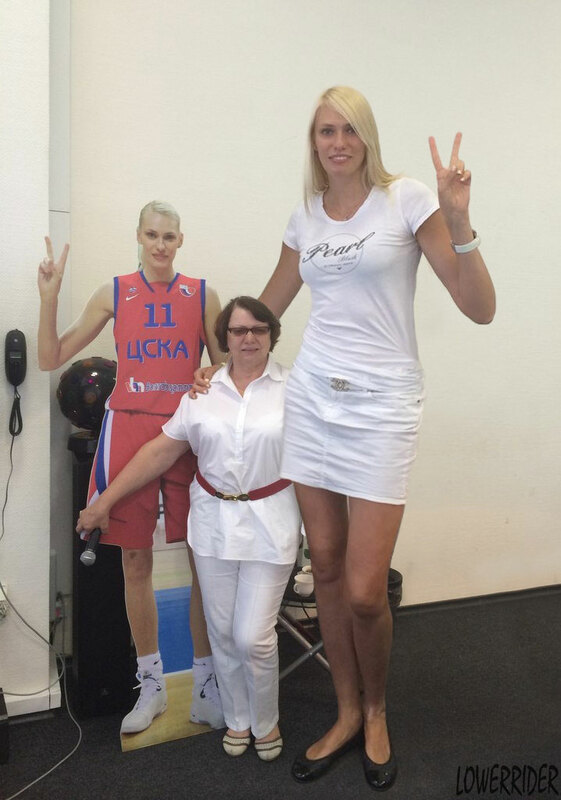 Maria Alexandrovna Stepanova is a famous women’s basketball player, measuring at 6 ft, 8 in (2.03 m). In the United States, she played for the Phoenix Mercury in the WNBA. Australian basketball player Liz Cambage is also 6 ft, 8 in and plays for the Tulsa Shock in the WNBA. Measuring at 6 ft, 9 in (205 cm), Malee Duangdee was recognized by the Guinness Book of World Records as the tallest woman in the world. She passed away at the age of 24 from chronic health problems. A professional actress and wrestler, Lindsay Kay Hayward is 6 ft, 8 in (203 cm) tall and received a Guinness World Record for the tallest woman in a leading role.